NUXE is a leader in major beauty sefments in pharmacies for products like Anti-Agining Skincare and Body Skincare. You can choose a product best suited to your age and skin type from their line of hydrating face creams, anti-aging creams, and hydrating body creams. All of their face and anti-aging creams are made up of a unique group of active ingredients tha are extracted from plants. It's a great way to see what nature can really do for your body. 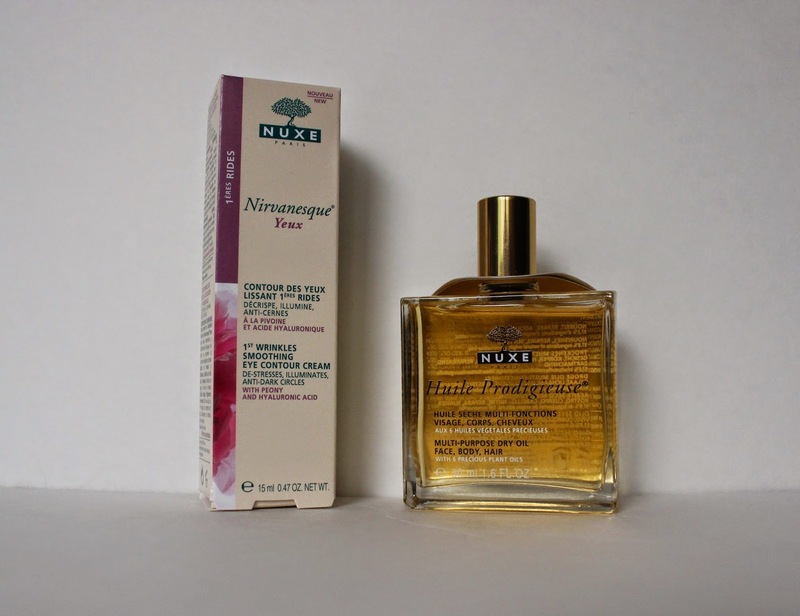 One of NUXE's products I love is Huile Prodigieuse! It's a multi-usage dry oil for face, body and hair. It's one of their best sellers too. There are tiny shimmering mineral particles inside so you have a nice sparkling look. Huile Prodigieuse nourishes, softens, and illuminates skin and hair. I love the fragrance and I love what it did to my skin and hair. It's not greasy at all!! Whenever I hear the term oil I assume it means grease but not with this dry oil product. The other product I adore is Nirvanesque Yeux anti-aging Eye Cream. It has peony and Hyaluronic Acid to instantly iron out wrinkles and lines and helping skin to relax. Ever since I started using it regularly, there are no more dark circles and my eyes appear much brighter. I seriously look younger now in my face! Definitely check out these two amazing products from NUXE!